Lock in a great price for Hotel Jan – rated 9.2 by recent guests! Location is fantastic staff very helpful.. bonus great breakfast including smoke salmon! Best breakfast hadvon our trip. Highly recommend! Plus rooms are quiet! Perfect location, good value for money. Friendly and helpful staff, happy to arrange trips, etc. It is right at the heart of the square to shop and relax. Awesome location. All the staff was supper awesome. Big thanks to Kamil who was able to secure us a New Year's Eve reservation. I communicated through booking app. Kamil made reservations while we were still in Prague. Sparkling clean. 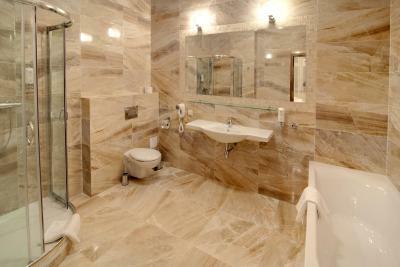 Beautiful bathroom with a great shower. Warm toasty room with a comfortable bed. It’s so well placed for everything and as easy as can be to get to from the airport. There is a bar downstairs in the basement which is based on Alcatraz. Excellent location! Comfy bed, reasonable breakfast, friendly and helpful staff. The location is perfect, the staff was friendly and very helpful, the breakfast was very good, they let us go in a little earlier the day we were leaving since we had an early flight which was very nice. They arranged for a taxi to pick us up and he was on time in the lobby waiting when we came down. I liked that they had a mini fridge and that there was a big mirror in the room so I could put on my makeup and blow dry my hair while my husband was shaving. There were plenty of electric plugs to use and they had one by the bed which is nice since I use my phone as an alarm. Our window overlooked a vibrant street right at the Main Square with splendidly adorned horses and white carriages passing by. The breakfast was extensive and superb! The bathroom was extra large. One of our rooms had a lovely balcony and was very roomy. The other one was very small. The LOCATION was GREAT!!! Overall, we enjoyed the Hotel Jan very much. Hotel Jan This rating is a reflection of how the property compares to the industry standard when it comes to price, facilities and services available. It's based on a self-evaluation by the property. Use this rating to help choose your stay! 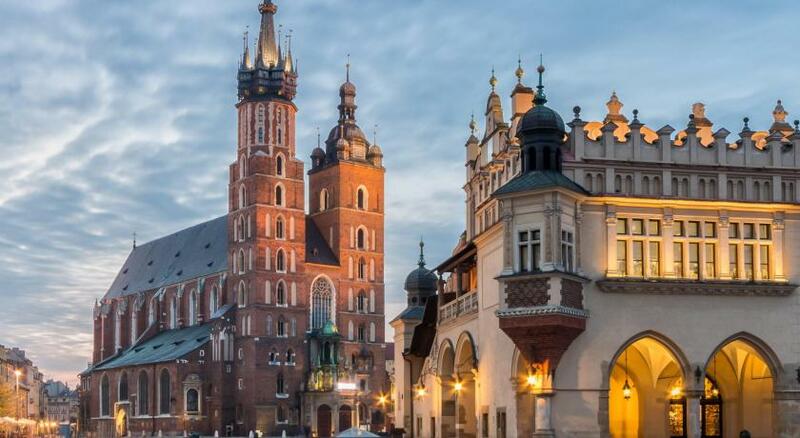 One of our top picks in Krakow.The Hotel Jan is in a 600 year old townhouse in the very center of the Krakow Old Town, 350 feet from the Main Market Square. It has a 24-hour front desk and air-conditioned rooms with free Wi-Fi. The Hotel Jan is just over a quarter mile from the Wawel Royal Castle and just over half a mile from the historic Jewish quarter of Kazimierz. Galeria Krakowska Shopping Center and Krakow Główny Train Station are just over half a mile away. When would you like to stay at Hotel Jan? This air-conditioned room features a flat-screen TV with satellite channels, an electric kettle, a refrigerator, a safe, and a private bathroom with a shower. This more spacious air-conditioned room features a flat-screen TV with satellite channels, an electric kettle, a refrigerator, a safe, and a private bathroom with a shower. A spacious air-conditioned room featuring a flat-screen TV with satellite channels, an electric kettle, a refrigerator, a safe, and a private bathroom with a shower. It includes a large terrace. 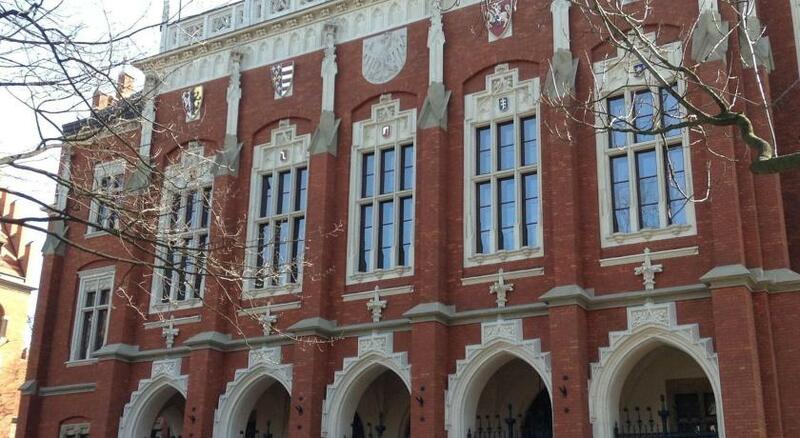 Hotel Jan is located in a 600 year old building in the heart of Kraków, just a few steps from the Main Market Square. This quiet hotel offers a 24-hour reception desk, a café and a breakfast room with exotic plants and trees. 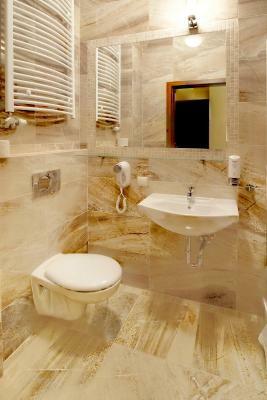 The tastefully appointed, air-conditioned rooms come with all the modern necessities. House Rules Hotel Jan takes special requests – add in the next step! Hotel Jan accepts these cards and reserves the right to temporarily hold an amount prior to arrival. Nice beds, excellent location and breakfast. No heating working in the room! No English channel on TV. the location was the best thing about this hotel. Excellent helpful staff, friendly at all hours. Accommodated for a large Male group on a long weekend break. Felt right at home, easy check in and easy checkout. Location fantastic, right in the square and an a joining bar with underground cellar bar. Just the job !! Very helpful member of staff booked our Auschwitz-Birkenau trip. Very straightforward , good price. the rooms were very clean and comfortable, the location superb only a few minutes from all the interesting places in Krakow, breakfast was excellent, plenty of choice to suit all needs. 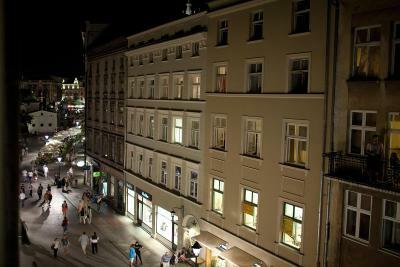 Location excellent, so close to old town square and hotel staff so welcoming , friendly and helpful. Although we loved the breakfast, Yoghurt would have been nice. Spacious room. Lovely breakfast, cereals, cakes, fruits, salads, cheese, eggs (boiled, scrambled etc) ham and salamis, bacon sausage, juice,milk, tea, coffee etc. Location, right at the main square. 5 min walk to vawel Castle, 2min walk to excursions pick up points. The hotel staff booked all excursions in advance for us, so as the airport pick up which was only 90 zloty around £20. Friendly very helpful staff.